Take a Segway tour of Savannah. It’s a super fun, effortless way to see this beautiful city known for its distinct charm. 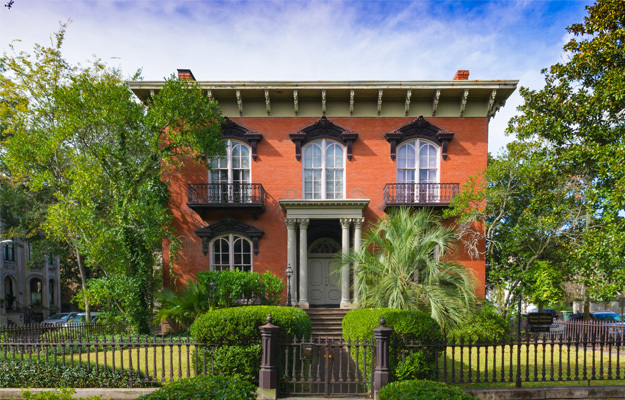 Departing at 9 am, 11 am, 1 pm and 3 pm covers a lot of ground at a leisurely pace for an up-close look at the sights throughout the Historic District. Glide along the riverfront, where the city began, through legendary tree-shaded squares, down picturesque streets lined with some of the most historically and architecturally significant homes in America. See lovely parks, important monuments, fountains, cemeteries. Along the way, engaging guides point out a myriad of unique details and entertain with tales of the lives of some historic Savannah’s noteworthy and colorful residents. Beautiful Bonaventure Cemetery is a Southern Gothic cemetery set on a bluff just outside the Historic District. Known for its unique cemetery sculpture, tree-lined roads, lovely landscape, and fascinating folklore, it’s a unique place to visit. Established in 1846, the garden cemetery is straight out of the Victorian Era. Reflecting the highly romanticized view of mourning of that time, it was designed as a beautiful park in which people could stroll through to appreciate the serenity of the landscape and the beauty of the sculptures. It was the Victorian way of remembering. Enjoy the Victorian cemetery as intended – by taking the time to leisurely glide through appreciating the details, the plantings, and ornate statuary throughout the shady grounds. Daily at 10 am, knowledgeable Segway tour guides lead the way through the storied cemetery providing the background and stories that make it a delightful Savannah experience. A word about Segways, those odd-looking, upright, two-wheeled transporters: they are easy to operate. High-tech technology senses your body’s movement and automatically responds. All you have to do is get on the small platform between the wheels, hold onto the handlebars, lean in the direction in which you want to go and let your Segway do the rest. To make you feel confident and in control, each tour is preceded by a training session 30 minutes prior to departure time. 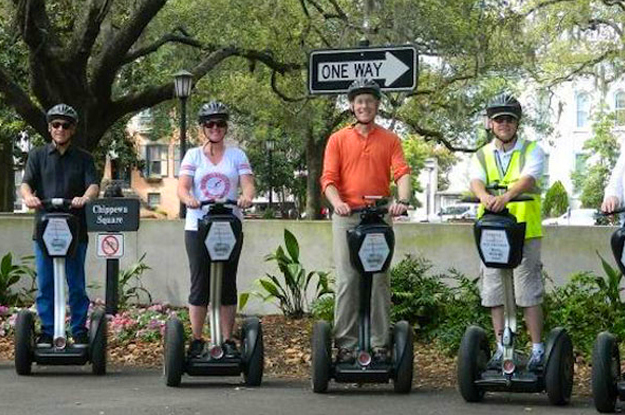 Segway Tours of Savannah are a great way to sightsee for everyone age 15 and up. Enjoy the glide using the coupons below.